Citation: D’Aronco S, Crotti S, Traldi P, et al. In Vivo Glycated Human Serum Albumin Impairs Cholesterol Efflux from Macrophages. J Diabetes Res Endocrinol. 2017, 1:1. Cardiovascular disease represents the leading cause of morbidity and mortality among individuals affected by diabetes mellitus (DM). Advanced glycation endproducts (AGEs), generated from glycated proteins, exhibit elevated levels in DM patients and have been suggested to be among the responsible for the development of atherosclerosis. Consequently, a possible relationship among glycated human serum albumin (HSA), endoplasmatic reticulum (ER) stress, and cholesterol efflux in macrophages can be reasonably hypothesized. A series of in vitro investigation on these aspects has been published, focused on ATP-binding cassette transporters A1 and G1 which are involved in cholesterol efflux from cells to high density lipoproteins and apolipoprotein A1. In order to further study these aspects a series of experiments have been performed. Glycation levels of HSA isolated from healthy and diabetic type 1 (DM1) and type 2 (DM2) subjects were measured by matrix assisted laser desorption/ionization mass spectrometry and used for the further investigations. 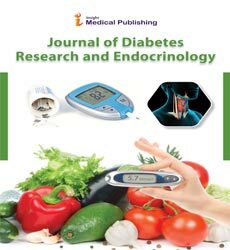 By this analytical approach it was observed that HSA from DM patients showed a mean condensation of at least 8 and 5 glucose units in type 1 and type 2 diabetics, respectively. Mouse peritoneal macrophages were treated with these HSA samples and ER stress and cholesterol efflux were evaluated. The expression levels of ER stress markers were found to be significantly higher in macrophages treated with glycated HSA while cholesterol efflux, via ABCA1, was significantly reduced. These experiments indicate that glycated HSA can contribute to atherosclerosis in diabetic patients by impairing cholesterol efflux and inducing ER stress in macrophages. The number of people affected by diabetes worldwide continues to increase and it is estimated that it will reach 500 million by 2035. Diabetes is associated with a high rate of micro and macrovascular complications, and cardiovascular disease remains the major cause of morbidity and mortality in diabetes with a 2 to 4 fold risk increase . Atherosclerosis is a chronic disease characterized by the excessive cholesterol deposition in the arterial intima. The plaque formation is the result of a concatenation of events triggered by the early development of endotelial disfunction and followed by the formation of unstable lipid-rich atheromatous plaques containing macrophages and inflammatory proteins. In this context, maintaining the macrophage cholesterol homeostasis is of great importance in the prevention of atherosclerosis. A dysregulation in the balance of cholesterol influx, endogenous synthesis, esterification/ hydrolysis and efflux leads, in fact, to an excessive accumulation of cholesterol in macrophages and in their transformation into foam cells and death . The strong association between diabetes and cardiovascular disease is explained by the occurrence not only of hyperglycemia but also by a series of well-known risk factors as, dyslipidemia, hypertension and, in type 2 diabetes, obesity . In addition, diabetes is associated with an inflammatory and protrombotic environment, an increase of oxidative stress and advanced glycation end-products (AGEs) accumulation, all culminating in accelerated atherosclerosis. AGEs can be generated in presence of high glucose levels through the non-enzymatic glycation of proteins, called Maillard reaction . This reaction generally consists of three stages: i) initiation, ii) propagation and iii) late stages. The AGEs formation occurs in absence of enzymatic catalysis and it usually takes several days or weeks to complete, because of its very low reaction rate. The initiation reaction occurs when a reducing sugar (glucose, fructose, galactose, mannose, ascorbate and xylulose) reacts with the free amino groups of peptides or proteins to yield an unstable Schiff base (Figure 1). This can undergo irreversible isomerization to generate a stable ketoamine known as Amadori product. Figure 1: Mechanisms of AGEs formation. During the propagation reaction, the Amadori product can undergo dehydration and rearrangement to produce highly reactive dicarbonyls . These reactive species are classified, depending on the substituent -R in Figure 1 as follows: R= -H, glyoxal; R= -CH3, methylglyoxal; and R= -CH2(CHOH)2CH2OH, 3-deoxyglucosone. In addition to the “classical” Amadori rearrangement, the reactive carbonyl intermediates can be also generated by i) a further oxidation of Schiff base and freeradical generation (the Namiki pathway) , ii) the glucose autooxidation in presence of transition-metal ions , iii) the lipid peroxidation process (due to increased oxidative stress) , and iv) the polyol pathway, in which fructose can be converted to fructose-1,6-bis-phosphate and can be further metabolized to generate glyceraldehyde-3-phosphate and methylglyoxyl . In the late stage of AGEs production, the highly reactive carbonyl intermediates react "in their turn" with free amino groups to produce pyrraline and other products including carboxymethyllysine (CML), Nε-(carboxyethyl) lysine (CEL), glyoxal-lysine dimer (GOLD) and methylglyoxal-lysine dimer (MOLD) [10-12]. As a consequence of intermolecular or intramolecular heterocyclic crosslinking, irreversible AGEs are generated and proteins fragmentation, denaturation and damage occur. The products so generated exhibit high stability, and can be considered the final stage of the Maillard reaction . AGEs biological effects are mediated upon binding with the receptor for AGE (RAGE), a transmembrane multi-ligand receptor belonging to the immunoglobulin super-family . Among the intracellular effects of the AGE/RAGE interactions there is the activation of the cell signalling pathway NF-kB, initiated by a cascade of other intracellular signaling pathways [15,16] and the production of reactive oxygen species (ROS) by the NAPDH (reduced form of nicotinamide adenine dinucleotide phosphate) oxidase .The long-term complications of diabetes are ascribed both to the increased oxidative stress as well as to the production of pro-inflammatory molecules which cause the vascular damage (Figure 2, panel A). Figure 2: Biological effects of AGEs/RAGE interactions: Panel A: General mechanism; Panel B: Macrophage mechanism. In vitro studies proved that AGEs can play also a role in the formation of atherosclerotic lesions, by reducing the cholesterol efflux from macrophages. Several studies focused on ATPbinding cassette (ABC) transporters A1 (ABCA1) and G1 (ABCG1) which are involved in cholesterol efflux from cells to high density lipoproteins (HDL) and apolipoprotein A1 (apoA1). Passarelli et al. reported that intracellular glycoxidation contributes to cellular lipid accumulation by impairing cholesterol removal by apo A1 in an ABCA1 dependent pathway . Later Machado et al. observed that advanced glycated albumin and dicarbonyl sugars decreased the HDL-mediated cell cholesterol efflux; this effect could be prevented by aminoguanidine and metformine that inhibit AGE formation . In 2007, Isoda et al. studied the effects of AGE modified bovine serum albumin (AGE-BSA) exposition on both mRNA and protein levels of ABCA1 and ABCG1: they found that AGE-BSA decreased ABCG1 mRNA and protein levels in a RAGE-dependent, but liver-X-receptor (LXR)- independent, manner . However, no significant effects where observed on ABCA1 protein levels . More recently Daffu et al. investigated the role of RAGE on the ABCG1-mediated macrophage cholesterol efflux in diabetes . This study focused in particular on CML-AGE, a specific signalling ligand of RAGE that accumulates in hyperglycemia, and this production is exacerbated by inflammation and oxidative stress [22,23]. The work of Daffu et al. suggested that CML-AGE/RAGE pattern suppresses the ABCA1 and ABCG1 promoter luciferase activity and the transcription through LXR-independent elements in the human ABCA1 and ABCG1. The authors hypothesized that the results obtained by their study can fill and important therapeutic gap in diabetic cardiovascular disease: largescale clinical trials indicate that statin benefits (statins inhibit the synthesis of endogenous LXR agonists) in regression of atherosclerosis may be less prominent in subjects with diabetes [24,25]. In 2016, Xu et al. investigated the effect of AGEs on lipid accumulation in macrophages stimulated by oxidized-LDL and the effects of AGEs/RAGE interaction on the regulation of cholesterol efflux, influx and esterification in a human monocytic cell line of macrophages . In this study it was found that AGEs decrease ABCG1 mRNA and protein levels, in macrphages, in a RAGE-dependent and LXR-independent manner. ABCA1 mRNA expression was found to be not affected by the presence of AGEs, in line with the Castilho et al. findings , but contrary to them the protein content was found not to be statistically affected. The impairment of cholesterol efflux, observed by the abovementioned studies, leads to an accumulation of free cholesterol that alters the macrophage lipid homeostasis and causes endoplasmatic reticulum (ER) stress, a mechanism responsible of macrophage apoptosis (Figure 2, panel B) . As above described, the AGE products impair the ABCA1- mediated cholesterol efflux by eliciting inflammation, generating reactive oxygen species and causing ER stress. It has been shown, as reported in Figure 1 that AGEs originate from glycated proteins, by the occurrence of the Maillard reaction pattern. Hence, in principle, a relationship between protein glycation levels and cholesterol efflux has to be expected. Then, a valid analytical method is required for the evaluation of the former parameter and matrix-assisted laser desorption/ ionization (MALDI) mass spectrometry (MS) was found to be highly effective for this aim. In an early investigation, this method was used to study the in vitro glycation of bovine serum albumin (BSA) . The protein was incubated under pseudo-physiological conditions at various glucose concentrations. By drawing samples at varying incubation times (0-28 days) and performing their MALDI analysis, a clear increase of the mass value of protonated BSA molecules was observed for increasing incubation times (Figure 3). This behaviour indicates that BSA reacts with glucose. The number of glucose molecules condensed on the protein can be easily calculated, considering that the condensation of each glucose leads to a mass increase of 162 Da. In other words the difference in mass between glycated and unglycated BSA peaks divided by 162 gives the minimum number of glucose molecule condensed on the protein. Thus, for example, the difference in mass between peak E (m/z 68,594) and that of unglycated BSA (peak A, m/z 66,429), calculated as 2,120 Da, indicates that after 28 days of incubation with 0.2 M glucose, 13 glucose molecules have condensed on the protein. We would like to emphasize that this number must be considered the minimum number because it considers the condensation of intact glucose molecules. If further dehydration-oxidation reactions occur (as indicated by the Maillard reaction pathway), the mass value becomes lower than 162 Da and consequently a higher number of these species will lead to the same mass increase. Figure 3: MALDI spectra of BSA incubated with glucose at 0.2 M concentration (pH 7.5; 37°C) recorded at different incubation times: (A), incubation time, 0 days; molecular mass, 66,429 Da. (B), incubation time, 7 days; molecular mass, 67,585 Da. (C), incubation time, 14 days; molecular mass, 67,897 Da. (D), incubation time, 21 days; molecular mass, 68,260 Da. (E), incubation time, 28 days; molecular mass, 68,549 Da. (Reprinted from Lapolla et al. by permission of Elsevier Science Publishers). Once confident on the validity of the MALDI-MS approach applied to glycation experiments, a systematic study was undertaken on plasma proteins from healthy subjects, wellcontrolled and poorly controlled diabetic patients . As an example, the MALDI spectra of the plasma proteins fraction from a healthy subject and a diabetic patient are reported in Figure 4. It is easy to observe the mass increase for all the proteins in the case of diabetic patient. Focalising the attention on the human serum albumin (HSA) peak, detected at m/z 66,680 in the case of healthy subject (Figure 4, upper part), it is shifted at m/z 68,033 in the case of diabetic patient. These values correspond to a mass increase (Δm) of 1,353 Da, which can be justified by a condensation of at least 8 glucose molecules on the protein. Figure 5 shows the great difference in Δm values (defined as the mass difference between the glycated HSA and genuine HSA) obtained for healthy subjects well controlled diabetics and patients with a badly controlled metabolism. The values measured for the first two groups of subjects are quite close, with the values being, in most cases, nearly zero. The difference in Δm (Figure 5) is more meaningful in patients with poorly controlled diabetes, where Δm values vary from 439 to 2,403 Da. These values correspond to the condensation of 3 to 15 glucose units on HSA. Again, it must be noted that these figures do not take into account any further oxidative modifications of glucose, which would give a species of lower molecular weight. These results fit the earlier findings of Ghiggeri et al. , confirming that in HSA, 16 active sites are prone to react with glucose molecules. The same analytical approach was also applied to study the glycation process occurring in vivo on globulins, giving in all cases valid and interesting results . Figure 4: MALDI/MS spectra of plasma protein fractions observed from (a) healthy subject A and (b) poorly controlled diabetic patient 4. The mass value reported on the spectra is those directly determined by the instrument, with a mass accuracy of 0.01 % to 0.1 % (Reprinted from Lapolla et al. by permission of Springer). Figure 5: The Δm values, defined as the difference in molecular weight of plasma HSA of the subjects under study with respect to that of standard HSA, obtained for healthy subjects (1), 10 patients with well controlled diabetes (2), and 20 with poorly controlled diabetes (3) (Reprinted from Lapolla et al. by permission of Springer). Considering the above described results, MALDI-MS was employed to study the glycation level of HSA and its possible role with the impairment of cholesterol efflux from macrophages . Three different groups of subjects were considered: healthy subjects (C), type 1 (DM1) and type 2 diabetic (DM2) patients. DM1 patients (n=6) were on basal-bolus insulin therapy [lispro insuline before meals and neutral protamine hagedorn (NPH) after dinner]. DM2 patients (n=6) were treated with oral hypoglycaemic drugs and one injection of NPH insulin after dinner. Blood samples were drawn after a 12 h fasting period. HSA was isolated by fast protein liquid chromatography and employed to verify its role on ABCA1 protein expression and on cholesterol efflux. For this aim mouse peritoneal macrophages (J774) were treated for 18 h with control HSA (C-HSA) or glycated HSA (DM-HSA) at 1 mg/mL concentration. The ABCA1 protein content in the macrophage surface was measured by the use of immunofluorescence , while the evaluation of cholesterol efflux was performed by radioactivity measurements on the 14C-cholesterol enriched macrophages . To investigate the role of glycated albumin present in poorly controlled diabetic patients on ER-stress and its relationship with the ABCA1 protein level and cholesterol efflux in macrophages, first of all the mean glycation levels of albumin in the three different groups (controls, DM1 patients and DM2 patients) under investigation were evaluated by MALDI mass spectrometry. The mean glycation level was obtained by considering the m/z value of the peak maximum. In the case of healthy subjects it was found 67,846 ± 301 Da, while the mean value rises up to 68,544 ± 192 Da and 68,547 ± 132 Da for DM1 and DM2 patients respectively. In the case of DM1 subjects a mean mass increase of about 1297 Da was observed, while for DM2 patients this value was 890 Da. This corresponds to the condensation on the protein of at least 8 glucose units for DM1 and 5 glucose units for DM2. The HSA glycation levels in the three groups of subjects represented the starting point for the study of the glycated HSA role in impairing the cholesterol efflux via ABCA1. Then functional assays were performed in order to evaluate the role of HSA modification by glycation in the macrophage cholesterol homeostasis which may be related to atherogenesis in diabetes mellitus. The obtained results can be summarised as follows: the expression levels of three ER stress markers: protein disulfide isomerase (PDI), calreticulin (CRT), and ubiquitin were found to be significantly higher in DM-HSA-treated macrophages in comparison to cells treated in the presence of C-HSA. As previously demonstrated, the AGE-induced ER stress is related to the impairment in macrophages of reverse cholesterol transport . In fact, DM-HSA decreased by 50% the ABCA1 expression in comparison to C-HSA, which was reflected in a 60% reduction in the apo-A-I-mediated cholesterol efflux. As reported by Castilho et al. [27,33] ABCA1 is mainly regulated by post-translational mechanisms that dictate its stability in the plasma membrane and late endosomes; in fact the higher expression of total ubiquitin found in macrophages treated with DM-HSA suggests a possible impairment in proteosomal activity. MALDI/MS measurements showed that HSA isolated from DM patients have a mean mass value higher compared to HSA isolated from healthy subjects, due to the condensation of glucose units. Mouse peritoneal macrophages treated with albumin isolated from DM patients showed increased expressions of ER stress markers and reduced expression of ABCA1 which lately impairs cholesterol efflux. These experiments, together, gave the evidence that glycated HSA, by altering homeostasis in macrophages, contributes to atherosclerosis in diabetic patients. Grundy SM, Benjamin IJ, Burke GL, Chait A, Eckel RH, et al. (1999) Diabetes and cardiovascular disease: A statement for healthcare professionals from the American Heart Association. Circulation 100: 1134-1146. Pennings M, Meurs I, Ye D, Out R, Hoekstra M, et al. (2006) Regulation of cholesterol homeostasis in macrophages and consequences for atherosclerotic lesion development. FEBS Lett 580: 5588-5596. Gartner V, Eigentler TK (2008) Pathogenesis of diabetic macro- and micro-angiopathy. Clin Nephrol 70: 1-9. Maillard LC (1912) Action des acides amines sur le sucres: Formation des melanoides per voie methodique C R Acad Sci 154: 66-68. Hodge JE (1955) The Amadori rearrangement. Adv Carbohydr Chem 10: 169-205. Namiki M, Hayashi T, Kawakishi S (1973) Free radicals developed in the amino-carbonyl reaction of sugars with amino acids. Agric Biol Chem 37: 2935-2936. Wolff SP, Dean RT (1987) Glucose autoxidation and protein modification. The potential role of 'autoxidative glycosylation' in diabetes. Biochem J 245: 243-250. Baynes JW, Thorpe SR (1999) Role of oxidative stress in diabetic complications: A new perspective on an old paradigm. Diabetes 48: 1-9. Obrosova IG, Kador PF (2011) Aldose reductase/polyol inhibitors for diabetic retinopathy. Curr Pharm Biotechnol 12: 373-385. Ahmed MU, Thorpe SR, Baynes JW (1986) Identification of N epsilon-carboxymethyl lysine as a degradation product of fructoselysine in glycated protein. J Biol Chem 261: 4889-4894. Anguizola J, Matsuda R, Barnaby OS, Hoy KS, Wa C, et al. (2013) Review: Glycation of human serum albumin. Clin Chim Acta 425: 64-76. Thornalley PJ, Langborg A, Minhas HS (1999) Formation of glyoxal, methylglyoxal and 3-deoxyglucosone in the glycation of proteins by glucose. Biochem J 344: 109-116. Brownlee M, Vlassara H, Cerami A (1984) Non-enzymatic glycosylation and the pathogenesis of diabetic complications. Ann Intern Med 101: 527-537. Chavakis T, Bierhaus A, Nawroth PP (2004) RAGE (receptor for advanced glycation end products): A central player in the inflammatory response. Microbes Infect 6: 1219-1225. Schmidt AM, Hori O, Chen JX, Li JF, Crandall J, et al. (1995) Advanced glycation end products interacting with their endothelial receptor induce expression of vascular cell adhesion molecule-1 (VCAM-1) in cultured human endothelial cells and in mice. A potential mechanism for the accelerated vasculopathy of diabetes. J Clin Invest 96: 1395-1403. Yan SD, Schmidt AM, Anderson GM, Zhang JH, Brett J, et al. (1994) Enhanced cellular oxidant stress by the interaction of advanced glycation end-products with their receptors binding-proteins. J Biol Chem 269: 9889-9897. Wautier MP, Chappey O, Corda S, Stern DM, Schimidt AM, et al. (2001) Activation of NADPH oxidase by AGE links oxidant stress to altered gene expression via RAGE. Am J Physiol Endocrinol Metab 280: E685-E694. Passarelli M, Tang C, McDonald TO, O'Brien KD, Gerrity RG, et al. (2005) Advanced glycation end product precursors impair ABCA1-dependent cholesterol removal from cells. Diabetes 54: 2198-2205. Machado AP, Pinto RS, Moyses ZP, Nakandakare ER, Quintao ECR, et al. (2006) Aminoguanidine and metformin prevent the reduced rate of HDL-mediated cell cholesterol efflux induced by formation of advanced glycation end products. Int J Biochem Cell Biol 38: 392-403. Isoda K, Folco EJ, Shimizu K, Libby P (2007) AGE-BSA decreases ABCG1 expression and reduces macrophage cholesterol efflux to HDL. Atherosclerosis 192: 298-304. Daffu G, Shen X, Senatus L, Thiagarajan D, Abedini A, et al. (2015) RAGE suppresses ABCG1-mediated macrophage cholesterol efflux in diabetes. Diabetes 64: 4046-4060. Kislinger T, Fu C, Huber B, Qu W, Taguchi A, et al. (1999) N(epsilon)-(carboxymethyl)lysine adducts of proteins are ligands for receptor for advanced glycation end products that activate cell signaling pathways and modulate gene expression. J Biol Chem 274: 31740-31749. Anderson MM, Requena JR, Crowley JR, Thorpe SR, Heinecke JW (1999) The myeloperoxidase system of human phagocytes generates Nepsilon-(carboxymethyl)lysine on proteins: A mechanism for producing advanced glycation end products at sites of inflammation. J Clin Investig 104: 103-113. Neeli H, Gadi R, Rader DJ (2009) Managing diabetic dyslipidemia: Beyond statin therapy. Curr Diab Rep 9: 11-17. Stegman B, Puri R, Cho L, Shao M, Ballantyne CM, et al. (2014) High-intensity statin therapy alters the natural history of diabetic coronary atherosclerosis: Insights from SATURN. Diabetes Care 37: 3114-3120. Xu L, Wang YR, Li PC, Feng B (2016) Advanced glycation end products increase lipids accumulation in macrophages through upregulation of receptor of advanced glycation end products: Increasing uptake, esterification and decreasing efflux of cholesterol. Lipids Health Dis 15: 161. Castilho G, Sartori CH, Machado-Lima A, Nakandakare ER, Correa-Giannella MLC, et al. (2015) Glycated human serum albumin isolated from poorly controlled diabetic patients impairs cholesterol efflux from macrophages: An investigation by mass spectrometry. Eur J Mass Spectrom (Chichester) 21: 233-244. Feng B, Yao PM, Li YK, Devlin CM, Zhang DJ et al. (2003) The endoplasmic reticulum is the site of cholesterol-induced cytotoxicity in macrophages. Nat Cell Biol 5: 781-792. Lapolla A, Gerhardinger C, Baldo L, Fedele D, Keane A, et al. (1993) A study on in vitro glycation processes by matrix-assisted laser-desorption ionization mass-spectrometry. Biochim Biophys Acta 1225: 33-38. Lapolla A, Fedele D, Seraglia R, Catinella S, Baldo L, et al. (1995) A new effective method for the evaluation of glycated intact plasma-proteins in diabetic subjects. Diabetologia 38: 1076-1081. Ghiggeri GM, Candiano G, Delfino G, Queirolo C, Vecchio G, et al. (1985) Reaction of human-serum albumin with aldoses. Carbohydr Res 145: 113-122. Lapolla A, Fedele D, Plebani M, Garbeglio M, Seraglia R, et al. (1999) Direct evaluation of glycated and glyco-oxidized globins by matrix-assisted laser desorption/ionization mass spectrometry. Rapid Commun Mass Spectrom 13: 8-14. Castilho G, Okuda LS, Pinto RS, Iborra RT, Nakandakare ER, et al. (2012) ER stress is associated with reduced ABCA-1 protein levels in macrophages treated with advanced glycated albumin - Reversal by a chemical chaperone. Int J Biochem Cell Biol 44: 1078-1086.